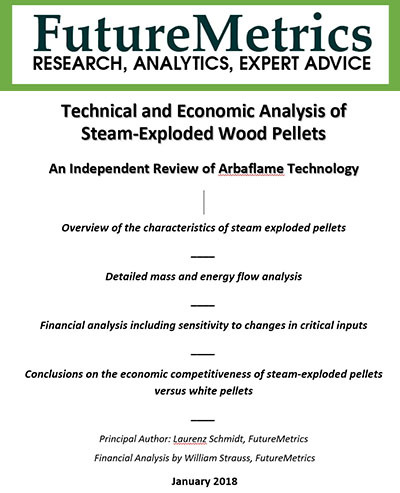 Technical and Economic Analysis of Steam Exploded Pellets – An Independent Review of Arbaflame Technology by FutureMetricsThis study can be purchased via an credit card, PayPal, wire transfer, or check. You can choose the payment method after adding it to the cart. If you prefer to purchase via invoice please use the contact information below. FutureMetrics’ senior researcher, Laurenz Schmidt, has spent 6 months researching and vetting Arbarflame data and mass and energy flows. He, with Dr. William Strauss, have produced a comprehensive independent study of the Arbaflame steam exploded (SE) pellet technology. The report contains data and analysis collected and performed by FutureMetrics on the Arbaflame technology. 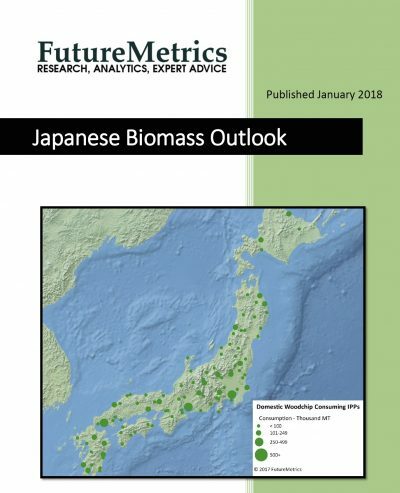 The report also applies the outcomes from the mass and energy flows to estimate the financial viablity of a hypothetical 240,000 tonne per year SE pellet plant using the Arbaflame technology. The results suggest that the Arbaflame SE pellet technology has overcome the technical shortcomings that have prevented the production of cost competitive SE pellets by other SE pellet processes and older Arbaflame processes.